The "Best of ONLINE" Collections are bundles of Retrievers ONLINE articles on specific topics. At the time of the initial website launch there were 5 Collections. We recently added two more. You can read about the available Collections below.Since all the Collection articles are in a pdf format, you can download and print the articles just as they would have appeared in the Retrievers ONLINE magazine. More Collections will be added so watch for them on our Facebook page or here on the Facebook page excerpt on the Home page. Check back often for new Collections and new "free" Online articles. At the present time, you can only purchase one collection at a time. You will be asked to fill-in some basic order information. You then Finalize your Payment using secure check out with PayPal. You do not need a PayPal account but can use VISA, MASTERCARD, AMEX, DISCOVER, BANKCARD or your PAYPAL account. If you have already purchased your collections, you can view your available collections by logging into My Account and viewing Collections. 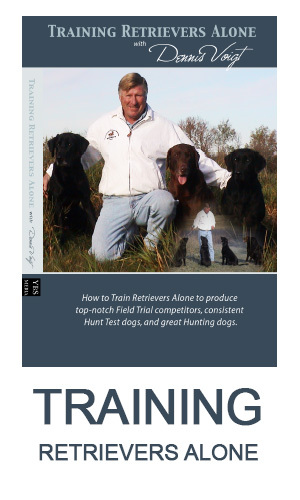 In this multi-part Collection, Part 1 and 2 together address many of the problems you will encounter with blind retrieves and how your dog handles. In Part 2, you will find articles on blind types, repeating blinds, special blind exercises such as Permanent Contrary Blinds and Chinese Drills. There is also handling tips for you and as well as evaluation of both you and your dogs mastery of blinds. Together, Part 1 and Part 2 provide you 19 articles that will help you address many blind handling problems. Learning how to train alone is important for almost all Amateurs. This collection will give you the Basics for Marks both with and without remote devices. The collection has details on improving marking as well as efficiency techniques to save you valuable time. This collection of 9 articles is one of our favorites. It features information on the basics of sending your dog, deliveries and other line mechanics. It has articles on improving your casting and handling on blind retrieves. It also includes very valuable information on differences in handling at trials and while training. Finally, the subject of how to analyze a test and plan how you will run it is analysed. 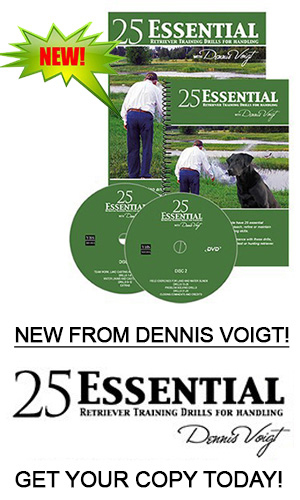 Your dog and its performance will benefit greatly from you becoming a better handler.